Welcome to Key nutrients during pregnancy - Maternity, Baby and Toddlers. 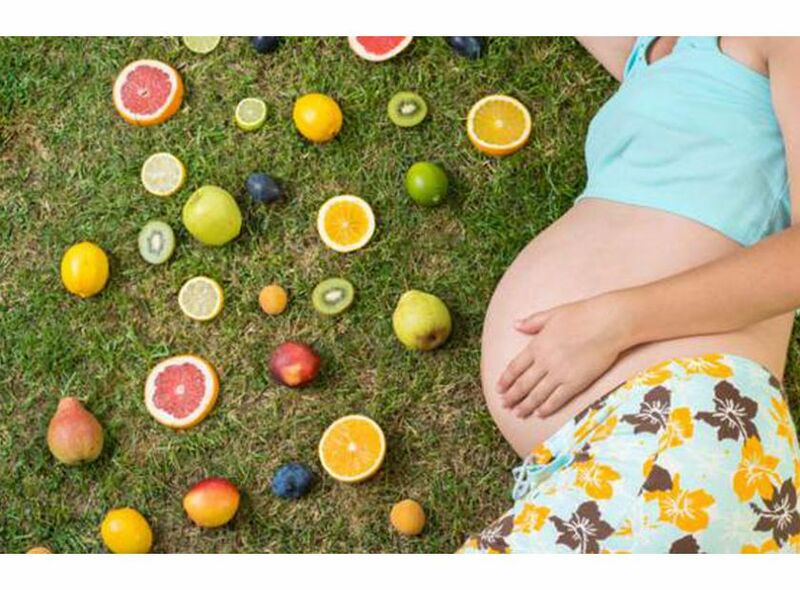 Eating healthy during pregnancy is very important for your body and your baby’s growth and development. Your body will need more nutrients and you will need to have a well balanced diet that includes a variety of food groups- fruits, vegetables, grains, protein sources and dairy products. We probably all heard the questionable great advice, “Now you need to eat for two”, but as we all would like to indulge in a bit more delicious food with the excuse of being pregnant, your body only really needs extra calories from the second trimester. About an extra 200 calories per day during the second trimester and 3-400 calories per day during the third trimester. So during the first trimester you have to makes sure to provide the right amount of nutrient to your body and the baby with the same amount of calories you would consume normally. And one of the most important nutrient you will have to take is folate, which is the most essential for rapid cell division and growth. In fact, pregnancy is known to double the need of dietary folates. Also to protect your baby against brain and spinal cord problems. 400mcg folic acid is recommended per day, which you can find in greens, such as spinach, kale or spring greens. Just one cup of spinach has over 263mcg of folate. Many doctor will advice you to take folic acid supplements. Iron is another essential nutrient you need to make sure to take enough daily, which is 27 mg per day.Iron is important to make red blood cells, which during your pregnancy will increase by 50%, You need the extra iron to help to grow your baby and the placenta. Red meat and fish are some of the best sources of iron, but if your diet doesn't include animal protein, you can easily get iron from nuts, beans, grains and dark leafy greens. A cup of lentils (cooked) has 6.6 mg iron, whilst a cup of red kidney beans has 6 mg of iron. Cooked spinach has 6mg of iron per cup. A handful of nuts, such as almonds, cashews, peanuts or hazelnut have around 2mg of iron. The same amount as whole grains, such rice, oatmeal or barley. And great news, dark chocolate has lot of iron too! - 5mg per square. 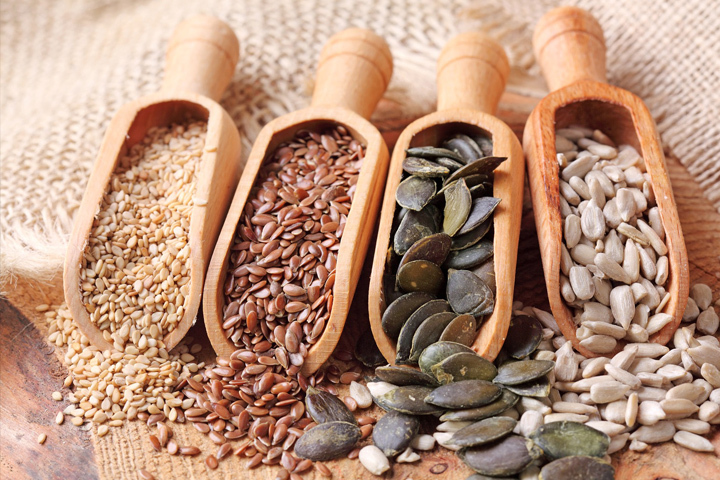 Little tip- Having Vitamin B6 rich food, such as sunflower seeds, pistachio or dried prunes can help to ease nausea. During second trimester calcium, magnesium and vitamin D are especially important. These nutrients will help your baby grow strong bones. Pregnant women need 1000 mg of calcium and 400 mg of magnesium per day. Magnesium can also help prevent the uterus from contracting prematurely. Vitamin D is bit trickier to include through diet, and your doctor may advice you to take vitamin D supplements during pregnancy. As we all rely on sun as the source of vitamin D, it is also not easy to find vitamin D rich foods. 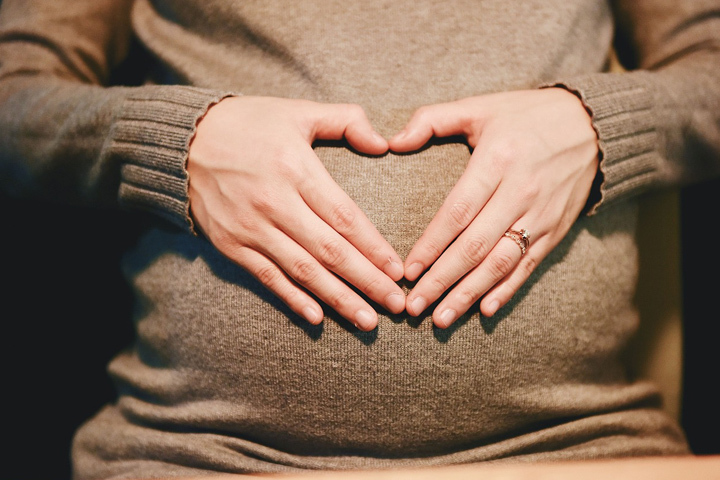 Pregnant women need around 30 mcg vitamin D per day, which you can mostly find in oily fishes- salmon, sardines and mackerel are only contain an average of 7mcg per serving. Taking enough iron daily is even more important during the second and third trimester. The your baby’s brain development mainly happens now, so you need to focus on taking enough omega-3 fatty acid, around 650mg per day, Eating fish twice a week can provide an efficient amount of Omega for the week. Foods that are rich in omega-3 fatty acids are mainly oily fishes, flaxseeds, chia seeds and some greens. Towards the end of your pregnancy, foods that contain vitamin K (basil, kale, cucumber or prunes) are essential to help your body to heal well after the birth. All in all, it is essential to include a great variety of grains, vegetables, fruits, nuts and protein in your diet, but you still might not get enough of the nutrients from your diet. Unfortunately many women start their pregnancy without enough iron and folate to meet their body's increased demands and are unable to bring their levels up through diet alone. Supplements can be a good solution to make sure your body has efficient amount of all nutrients every day.